Capacity / accuracy: 500g / 0.01g. Two transparent trays for weighing and also protecting the scale. Support tare weighing and counting function. Multiple weighing units: (g / ct / dwt /ozt / oz / gn). Stainless Steel 5kg Kitchen Scales. Stainless Steel Kitchen Scale with non-slip rubber feet. Large LCD Display Size: 48mm x 20mm. Easy to read blue backlit digital display. Simple as that. Item condition. White 5kg Kitchen Scales. Simple as that. Large LCD Display Size: 48mm x 20mm. Easy to read blue backlit digital display. Item condition. Küchenwaage, Waage. Glaswaage mit digitaler Anzeige. War ein Geschenk, hatte jedoch bereits eine Waage Dr.Oetker bis 5 Kg. Gewicht: ca. 550 gramm. Plage Tare: Tare pleine capacité. Arrêt Automatique 30 secondes. Power par 2x piles AAA(pas inclus). LCD affichage avec en option bleu rétro-éclairage. 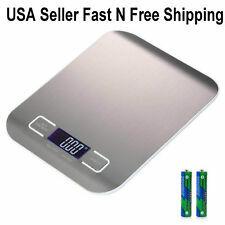 SF-2013 is an ultra slim digital kitchen scale with sleek stainless steel weighing surface. An automatic tare button quickly calculates the net weight of ingredients by subtracting the weight of the container in which the ingredients are placed. BILANCIA BILANCINO DI PRECISIONE DIGITALE. Bilancino di precisione. Display LCD. Indicato per cucina e gioielli. Unità di peso: g/oz/ozt/dwt/ct/gn. Funzione Tara. Pesata minima: 0,01 gr. 10kg Kitchen Scales. Kitchen Scale with non-slip rubber feet. Large LCD Display Size: 58mm x 26mm. Easy to read blue backlit digital display. Simple as that. Item condition. Power: 2 x AAA battery (included). 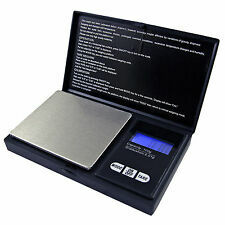 5kg Electronic Kitchen Scales with Digital Reading. – Maximum weight of 5kg. – Accurate, high-functioning digital weighing scales you’ll want to leave out on display! Our electronic and digital food scales will provide highly accurate weighing of your ingredients – for even better cooking and baking results than ever. BILANCIA DIGITALE DI PRECISIONE DISPLAY LCD da 0,1g a 500g BILANCINO PESA ORO!!! Peso del bilancino: 160 g. 1 Bilancino Diamond 500. Capacità: da 500 g a 0.1 g. Funzione di tara. Spediamo con i seguenti corrieri: GLS - DHL. Affichage LCD rétro-éclairé lumineux et contrasté dans n'importe quelle circonstance et angle de vision. - Capacité de 300g. - Arrêt automatique au bout de 60 secondes. Expedié de france ! - Etui en simili cuir fourni. Bilancia elettronica digitale di precisione max 500 grammi frazione 1/10 grammo con custodia in similpelle. - usato mai utilizzato. - portata : da gr. Red 5kg Kitchen Scales. Large LCD Display Size: 47mm x 17mm. Simple as that. Item condition. Power: 1 x CR2032 battery included! Overload / Low Battery Indication. Scion Mr Fox Stone Electronic Scales. Bright and colourful kitchen scales from the Scion Living range by Dexam, in the ever-popular Mr Fox print. Wipe clean. Automatic switch off, with low battery level indicator. Two Trays and Backlit LCD --- Two ABS plastic trays can be used as protectors or scale trays. 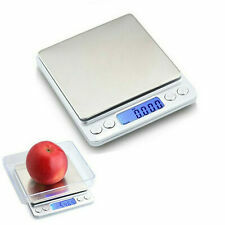 Stainless steel platform makes the scale durable and light. 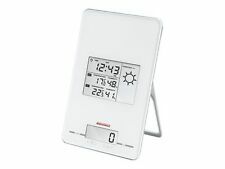 Backlit LCD Display allows you easy to read even in the dark. Wiegebereich: 400g x 0.01g. TRITON® T3™ Digital Waage. Nuovissimo bilancino di precisione tascabile, ideale per gioiellerie, orologerie e per misurare piccole quantità. 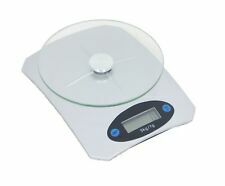 Stylish 5kg Kitchen Scales. Stylish Kitchen Scale with non-slip rubber feet. Simple as that. Large LCD Display Size: 40mm x 17mm. Easy to read blue backlit digital display. Item condition. Commandes à touches sensitives. Fonction de pesée avec tare. Capacité 5 kg. Graduation 1 g. Pile CR 2032 de 3V incluses. Taille des chiffres 20 mm. Tasto tara. 1 Bilancia digitale SF-400. Pesata minima di: 1 Gr. Pesata massima di: 7 Kg. 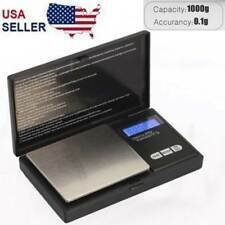 Digital Spoon Scale 0.6g to 300gms. 9 in 1 High Precision Strain Gauge Sensor. 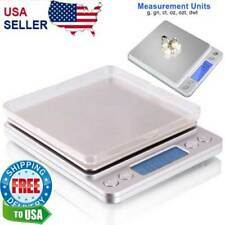 Digital Spoon Scale 0.6g to 300gms. 9 in 1 High Precision Strain Gauge Sensor. One large and one small spoon head. Heavy Duty Rotary Airer Multi-Fit Ground Spike 40mm with 32mm Plastic Adaptor. Hold function. MINI Balance Electronique de Précision Mini DE POCHE 0.01g - 200g Pèse de Poche. Appuyez sur la touche “OFF” pour éteindre la balance. EXPEDIE DE FRANCE. Plip Clé De Voiture. échelle: de 0,01 gr. le soleil et la circulation de l’air. Amateur de cuisine et de gourmandise, cette balance de précision est faite pour vous. BALANCE DE PRÉCISION - CUISINE OU BUREAU. Avec cette balance, pesez aussi bien de la farine que de l'eau, de l'huile ou du lait ! Featuring an weighing area with durable steel panel, these scales are a boon to the serious cook. 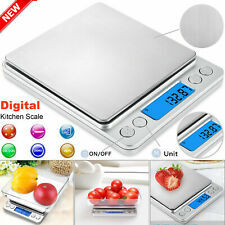 1 x Digital kitchen scales. Easy to use touch screen operation. 3 Sistema 460ml Twist n Sip Drink Bottles, Blue, Pink, Purple. Weight Capacity: 110lb (50kg). Scale Functions: Zero, Tare. 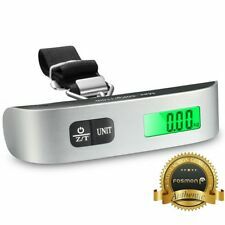 The ergonomic design gives a comfortable grip while weighing. The large and easy to read digital display makes it easy to read the weight at a glance. Weigh directly on the platform or weigh with own mixing bowl – suitable for use with most bowls or containers. With such a stylish kitchen scale, you may want to keep it on display even when you're not baking. Leichtes und genaues Abwiegen. Küchenwaage Elegance Cuisine. - zum Backen und für diätetische Zwecke. mit Schüssel, Wiegebereich bis 5 kg. Tanita 3 Kg KD-321. 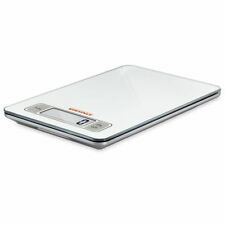 The Tanita KD-321 Digital Kitchen Scale with 0.1g graduation and fluid Conversion is highly durable and easy-to-clean. Features a removable washable stainless steel platform tray. Scion Spike Red Electronic Scales. Bright and colourful kitchen scales from the Scion Living range by Dexam, in the ever-popular Spike print. Automatic switch off, with low battery level indicator. Wipe clean. Mit dieser kleinen Küchenwaage können Sie Sachen bis 1kg abwiegen. Die Skala ist in 20g Schritten eingeteilt. Ein Rädchen unter der Waage dient zur Justierung. Durch die kompakte Größe lässt sie sich leicht verstauen und nimmt wenig Platz ein.